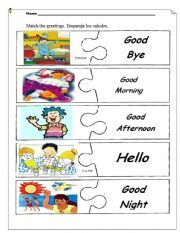 Students have to match the greetings with the images. 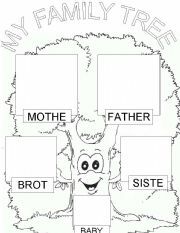 Draw your family in the tree. 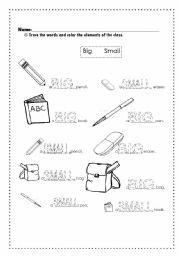 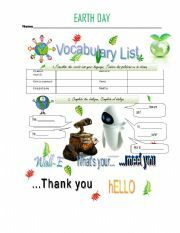 Students will search for vocabulary related to the earth�s day, also they will practice the basic greetings. 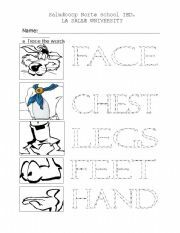 Students have to trace the words and color the parts of the body of one wolf. 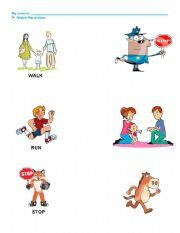 Trace the words and color the elements of the class.